Advertising-as-interruption is over. We connect brands to customers by telling engaging and entertaining stories that audiences actually want to hear. These are words from Kirk Cheyfitz, CEO of Story Worldwide. He’s absolutely right, and advertisers and marketers everywhere have been trying to figure out ways to reach customers through storytelling. The Academy Awards show Sunday night used storytelling quite well to keep viewers interested in the broadcast. Stars shared memories and thoughts about their first exposure to movies, their favorite movies, their favorite movie moments and more. Many starts participated—Adam Sandler, Viola Davis, Jonah Hill, Barbra Streisand, Don Rickles, Robert Downey, Jr., and many, many more. Not only did we get to see these actors in a more personal light, but they also added some new spark to categories viewers typically don’t care much about. 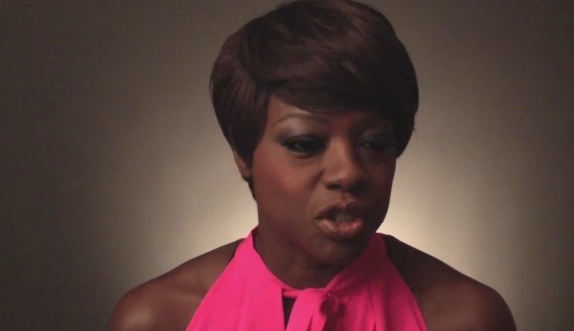 Categories like “Make-up” and “Costume Design” were accompanied by video of the stars of some of the nominated movies explaining why the nominated make-up artists and costume designers make such a difference. Who knew Meryl Streep has been with her hair and make-up guy J. Roy Helland for decades? Knowing that made it even more special when both Streep and Helland won awards for their work. These video clips were nicely meshed with the nominee introductions. They were interesting and added life to usually lifeless Oscar moments. What are the lifeless moments in your advertising that could be enhanced by storytelling? What are your customers longing to know about your company or your product? What would surprise them or entertain them? Take a cue from Oscar night and add more storytelling to your advertising mix. But make sure your stories are real and relevant. Storytelling is about building relationships, making your audience interested enough to keep coming back. Charles Barkley, Terry Bradshaw, Dan Marino, Jason Alexander—What do these men have in common? Washed up? No longer relevant?…Oops, sorry, just having a little fun. These men all star in commercials for weight loss companies. Men need to lose weight too, so targeting men is an important step for weight loss companies like Jenny Craig, Nutrisystem and Weight Watchers. Weight Watchers seems the clear winner with a very manly ad and the advantage of clients being able to eat real, everyday food. 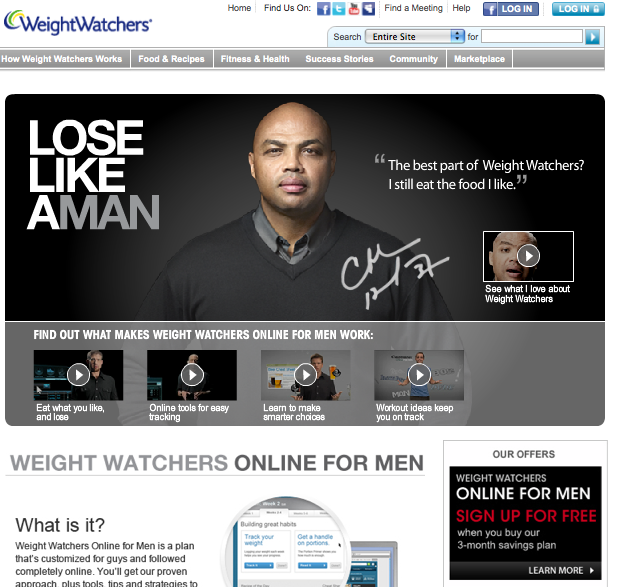 “Lose like a man.” From their tagline, to their choice of spokesman (Charles Barkley), to the keywords they use in their ads, Weight Watchers seems to be doing everything right to attract the male customers they seek. The key? Weight Watchers is proving they know men. I’ve said this so many times—“know your audience.” Weight Watchers surely does. 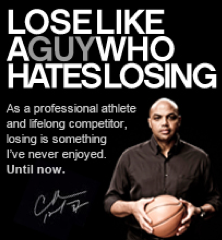 They scored big when Frank Caliendo did a spoof of their Charles Barkley ad during Fox NFL Sunday. Poor Frank ended up losing like a man after he picked the Giants to lose a playoff game. But Weight Watchers got valuable free airtime that in a fun way still promoted their product. Can’t get much cooler or manly than that. It’s not just the commercials that are beating the competition. Weight Watchers website is geared more for men too. Their website hits the right color scheme and men can immediately sense the site is made for them. They’re not made to feel like visitors on a site for women. Charles Barkley stands out in a simple, yet appealing way. You’ll also hear his voice on a series of videos on the site featuring real men—real clients. There’s Kevin the coal miner who lost 98 pounds. He talks about how he still eats hot dogs and easily works in info on Weight Watchers’ mobile app. The different men in the videos all use keywords that are very appealing to men—hot dogs, pizza, cheat sheets on beer and the grill, quick and easy, and more. They explain and show how to use the mobile app and different features on the website. Type in “pizza,” know how much you can eat. Simple. Now, the competition could use some work. 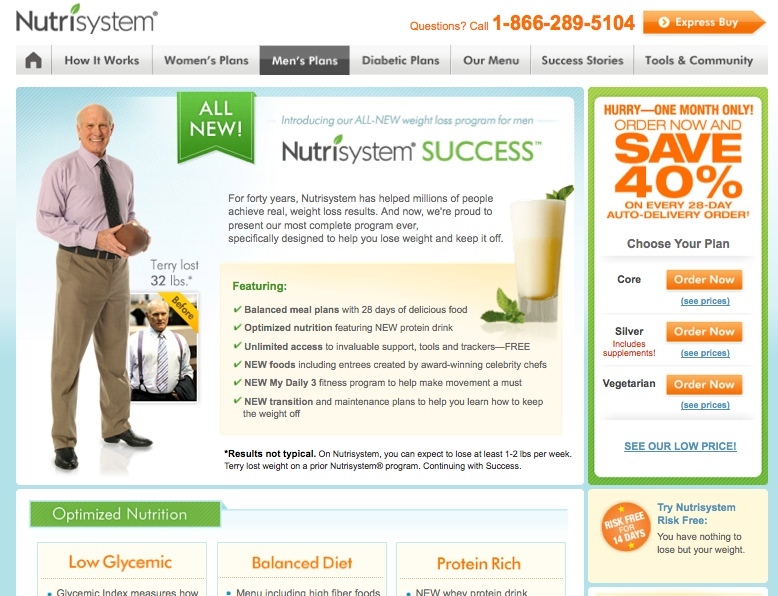 Nutrisystem chose manly spokesmen too, but there’s still the problem of Nutrisystem food. What man (or woman, really) wants to eat items that are totally different from what they’re used to and what their family and friends eat? On their website, men are greeted by former Steelers quarterback Terry Bradshaw and a color scheme that’s better suited for a natural products website. Yes, some men may find that appealing, but it pales in comparison to Weight Watchers bold look. Jenny Craig drops the ball entirely. You have to really search to find anything for men. They do have a Jen4Men site for Australia and New Zealand, but their USA link doesn’t seem to be working. To be fair, Jenny Craig does have a problem the other companies don’t—their name suggests a target audience of women only. HUGE disadvantage. What man wants to go to a place where the company’s name is a woman’s? Bottom line is Weight Watchers proves they know their audience and they drive that home with both words and visuals—in their ads and on their website. This is a brand that seems to finally understand men. Nutrisystem and Jenny Craig need to either shape up or tap out. When JC Penney came out with their new “Fair and Square” campaign, I wasn’t so sure I liked it. Some good concepts, some not-so-good concepts and some terrific music-based commercials (ahem, a bit like Target’s), which were pretty well done. Now, one thing I LOVE about it, is that right off the bat, JC Penney was tested as to how deeply they’d back that brand and they passed that test—with rainbow colors, you might say. We stand squarely behind Ellen as our spokesperson and that’s a great thing, because she shares the same values that we do in our company…Our company was founded 110 years ago on The Golden Rule, which is about treating people fair and square, just like you would like to be treated yourself. And we think Ellen represents the values of our company and the values that we share. What I’m wondering is: Exactly how brilliant was this new brand plan? Did they choose Ellen because she’s a great representation of a fair and square choice? Or did they expect the controversy and execute a well-thought-out plan on how to boost their brand by responding to it? My instinct…is that spokespeople aren’t really necessary unless a company is going through a profound change…We looked around…and Ellen was the one who stood out. She’s honest, she’s funny, she has integrity. Americans like her but they really trust her. She seemed to be the perfect person. Integrity. Fair and square. Hmm…wouldn’t it be nice if these qualities were more prevalent today? Wouldn’t it also be nice if more companies understood brand the way JC Penney has come to. Regardless of what you think of the idea of a “fair and square campaign,” the company has proven that they understand brand. They understand the big picture and maybe are not just giving lip service to the main idea. I’d have to shop at JC Penney more to know for sure. And after the way they’ve conducted themselves so far, I just might. Why Don’t Doctors Need Super Bowl Commercials? If you’re wondering why my blog post for the week is late or why I didn’t write about Super Bowl ads, the plain truth is that I have pneumonia and decided to take care of myself first. And, full disclosure, sometimes the fever associated with consumerism and Super Bowl commercial madness makes me sick too, so I didn’t watch the game or the ads this year. This juxtaposition between all the doctors’ offices I’ve been in lately and the super-hype over the Super Bowl ads has me thinking. How do doctors get customers without marketing and what can businesses and marketers learn from them? Basically doctors get patients through old-fashioned word-of-mouth advertising. How did you find your doctor? Most likely, a friend or family member recommended the doctor to you. Yes, a doctor’s practice is much different than a retail store or other business. But one concept is the same. It’s the reason doctors and small local businesses don’t need to spend $3.7 million for a spot during the Super Bowl. What’s the reason? Why does word-of-mouth marketing work for doctors so well? I’ve had the same primary doctor for almost 20 years. I have to drive almost 45 minutes to get to her, and I dread the day that she retires. Why? Because we have a fantastic relationship. I trust her as a doctor and a person who has my best interest at heart. She trusts me as a patient. Her reputation—or her brand—can be summed up as smart, trustworthy, reliable and caring. Everything you’d want in a doctor. Now think, is there a store or a business you’ve been going to and exclusively relied on for 20 years? 10 years? 5 years even? I’m guessing most people might be able to answer “hairdresser” to that question…if you’re lucky. And if you’re really lucky, maybe one or two more businesses, most likely small, local ones. The point is, my friend gets a consistently great shopping experience at that particular Bloomingdale’s from that one salesperson, who has come to know her likes and dislikes and makes her shopping more efficient and pleasant. And, if I decide to start shopping at Bloomingdale’s, I’m going to ask my friend what that salesperson’s name actually is and then go find her. Why do big brands and even medium-sized brands need to spend millions on Super Bowl ads and regular TV advertising? Because they’re not good at building relationships with their customers. They just want to sell products. And yeah, if you sell a fantastic product, that will get you good word-of-mouth advertising too. But unless you’re Apple and all your products are that good, you’ll still need to keep spending big bucks on those TV ads. Don’t believe me? Then answer this question—how did Zappos build such a great business? I’ll give you a hint. The word you’re looking for starts with an “R” and rhymes with “She hates her hips.” Zappos built their brand on it. You can too.